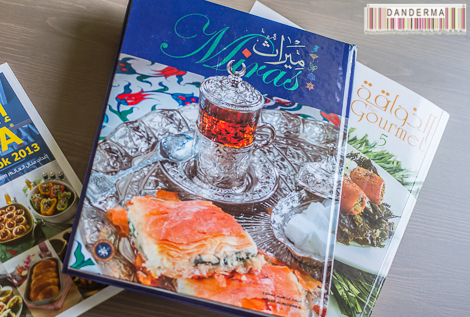 Many local cookbook authors time their new releases with the start of the holy month of Ramadan, given that for 30 nights people have to provide iftar, ghabga, and suhoor meals and they are always on the lookout for something new. This year I had my fair share of Ramadan cookbooks, four in total, each and everyone more delicious than the next with mouthwatering pictures and readily ingredients available in the nearest co-op. 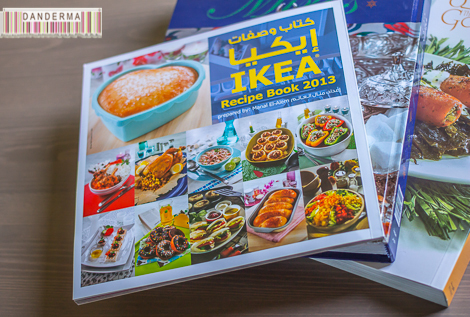 The first of which was the Ikea cookbook which you can get from Ikea if you purchase with the amount of 25 KD or more. The Ikea recipe book is very nice with plenty of delicious easy to make dishes. I loved the pictures as well, very colourful and bright. The next book is the long awaited Kuwait Flour Mill’s cookbook, or matahin book as we call it in Kuwait. 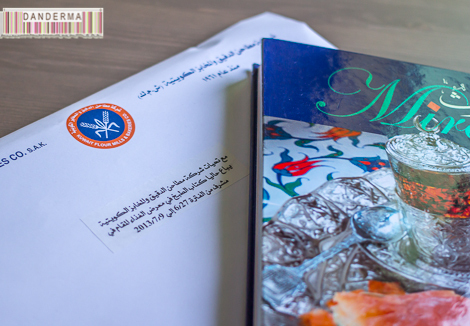 There is a Ramadan tradition in Kuwait, every year the matahin cookbook is released right before the start of Ramadan and everyone I know scrambles to get themselves a copy (post). However, for the past couple of years there was no release of any new matahin cookbooks but this year there is and I have to say the book is quite special. I got my own matahin book copy a week before Ramadan then with the start of Ramadan Kuwait Flours Mills & Bakeries Company sent me a complimentary copy as well, thank you Kuwait Mills! The book is called Miras, a Turkish book that means inheritance or heritage. Most of the dishes in the book are Turkish, given that Turkey is the current IT country and everything Turkey is highly desired. There also Egyptian, Indian, and Palestinian dishes that are suitable for every taste. The book is lovely and quite different than the previous books. 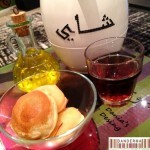 The third book is Abeer Al-Rashid’s fifth Thawaqa or Gourmet cookbook. One of my favourite local cookbook authors, Abeer Al-Rashid’s dishes are always delicious with a twist on the traditional recipe with an excellent presentation. The book is also very vegetarian friendly, with many recipes dedicated to suhoor meals. 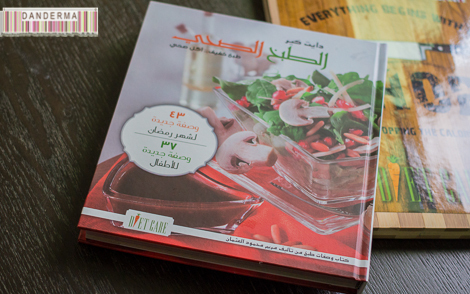 The book is also in both English and Arabic so English speaking people can make use of the dishes available. 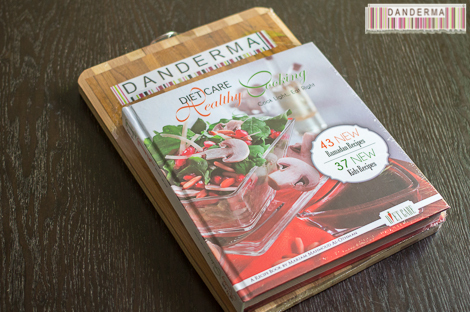 The fourth and last book I received was the new and improved Diet Care healthy cooking book. I received their cookbook last Ramadan but this ramadan they have 43 new Ramadan recipes and 37 new kids recipes, 80 recipes in total. 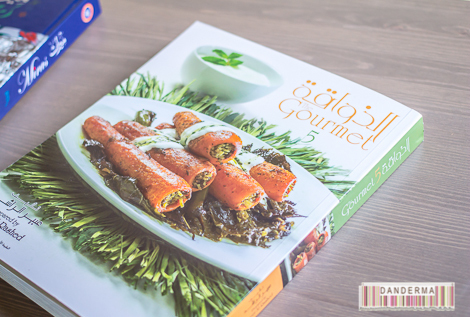 The book is also in both English and Arabic so English speaking people can make use of the dishes available. 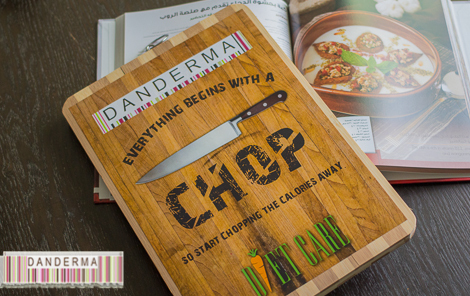 The book came attache on top of a chopping boards with a message “Everything begins with a chop, start chopping the calories away”. Will do! Especially given that the book is packed with healthy alternatives to local dishes and explains how to lower the calories per dish. Thank you Diet Care and Kuwait Flour Mills & Bakeries Company for sending your cookbooks my way. 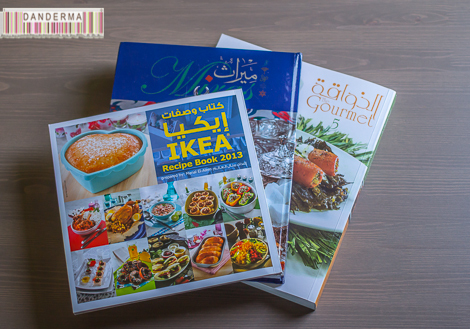 The Gourmet 5 should be available in all bookshops in Kuwait by now, the Diet Care cookbook is available in all their stores and stands, the Ikea recipe book is available in Ikea, and the Kuwait Flour Mills or Matahin cookbook is available in all the flour mills shops around Kuwait. For more information and questions you can check Diet Care’s instagram (@TheDietCare) or Kuwait Flour Mills instagram (@KFMKuwait) or Abeer Al-Rashed’s instagram (@Abeeralrashed_kw). If you are in Kuwait you can find it in most bookstores especially the ones located in co-ops but to make sure do pass by a Kuwait Mills shop located at their factories and you can buy all the books you want plus fresh toast and bread. The ones I recall off the top of my head are located in Sha’ab and Yarmouk and they are pretty easy to find and do come in English as well. We used to live in Qatar. We now live in America. I am trying desperately to find this book online. But no one sells it. I tried to go to the Kuwait flour mills website to see if they will send it but half their site is not working. Is there some place online I can buy it and they will send it to me in the USA. Hmm I’m not sure but given than the book is available in most bookstores across the GCC you might have some luck with ones that might have online services and shopping like Jarir? Or perhaps Kinokuniya in Dubai? I know for a fact that Kino will ship whatever books you desire, they told me so themselves and I do think I’ve seen the book in the cook section over there so you might want to email them or give them a call. Best of luck!